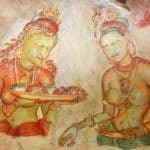 The history of Sigiriya is a long story. The rock came into being as a result of a rivalry between two brothers. 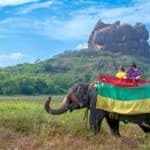 The great rock fortress, Sigiriya was built by the King Kashyapa. King Kashyapa made this great place to protect himself from his brother King Mogallana. 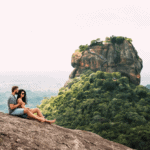 The Sigiriya rock is entwined with a tragic event. The heir to the throne had been King Mogallana, but King Kashyapa had taken power by force. King Kashyapa was afraid that his brother would come back again to take back his right to the throne. Therefore, to protect himself, he built this rock fortress. He did not want any invasion to happen by his brother. The technology that has been used in creating the fort is excellent. 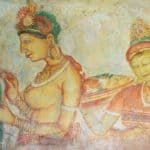 The Sigiriya rock is decorated with colorful frescos. However, Moggallana was able to defeat Kashyapa, and after that, the rock fortress was destroyed. Earlier it used to be a Buddhist monastery, and after the palace was destroyed, it became a Buddhist monastery once again. 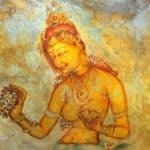 Sigiriya was discovered later in 1831 by Europeans. 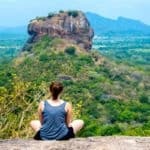 A major of the British army, Jonathan Forbes discovered Sigiriya on his way from Polonnaruwa. Many historians and archaeologists started excavating this rock fortress, and it is through the excavations that all the glory of the rock was discovered. One who goes to the top of the rock would see that it is a citadel, with gardens, and parks. 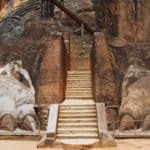 Sigiriya is a massive rock which was built for protection, and the technology that has been used is advanced. Its layout and the planning technology used in Sigiriya is extraordinary. 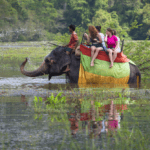 Search Hotels - Value Deals!